In this kind of grinding market with slow global growth, it’s easy to simply stick with the big names and hope for better times. But you shouldn’t put all your eggs in one basket. It’s time to diversify your holdings across the spectrum, from solid large-cap stocks to surging small caps. To this end, we’ve done the heavy lifting for you and found seven A-rated small caps that will only get stronger as the economy improves. Because they are small, they will grow much faster than the blue chips. Another nice thing about these small caps is the fact that they aren’t sustaining their prices by spending billions on stock buybacks; they are growing their businesses. Many of the big shots simply keep buying back stock to prop up the value of their shares. Whenever a company removes a few shares from the general population, the few shares left become that much more valuable. Broadly speaking, the more they spend, the more the stock is worth. That’s completely different than growing revenues or increasing profit margins and market share, which happen to be the more authentic way of increasing share price. And that’s exactly why I handpicked these small-cap stocks. Royal Bancshares of Pennsylvania (RBPAA) may not roll off your tongue or even bring a note of familiarity, but it’s in the sweet spot for a lot of activity in Philadelphia and its neighboring counties. Regional banks are a very good sector. They are able to work with small and medium-sized businesses that are local, which helps manage risk. The customers, too, are local. 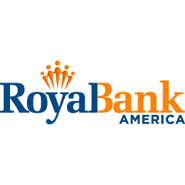 Royal Bancshares doesn’t have a fancy investment banking arm that is leveraging the steady-Eddie business it gets from its loan and mortgage departments. Also, RBPAA has been around for more than 50 years, so it know its territory and the local economy as well as anyone. And 2016 promises to be an even better year than last because millennials and generation Xers are now looking to buy and they’re headed for the cities and suburbs. That is great news for RBPAA. Supreme Industries (STS) is in a very dynamic sector right now. It is a custom maker of truck bodies, trolleys and specialty vehicles (like armored cars and police vehicles). As trucking firms and logistics companies have realized, having lighter, more aerodynamic trucks that can still deliver the load can save a lot of money on the bottom line. This was the logic four decades ago when STS started as a specialty manufacturer for the trucking industry. Since then, it has been able to grow into other strategic niche markets. It has seven manufacturing plants, including one that produces fiber panel for side walls on trailers. It’s the only plant of its kind in the U.S.
Gas may be cheap now, but it won’t always be that way and building the most efficient fleets of vehicles is always an important focus, good economy or bad. That’s great news for STS, since it has little competition in this sector. The company is gaining a pretty big following; it’s up 84% year to date. Again this isn’t some new firm — it’s a long established company seeing some real growth in a key sector. Armada Hoffler Properties (AHH) is a Virginia-based developer, builder and manager of office, retail and multifamily properties in the Carolinas, Virginia and Maryland. These states have been some of the strongest during the recession, and their draw for talent and opportunities continues unabated. So office space demand continues to grow, as do places for these folks to spend their money. And AHH is making it happen. The trend for enclosed malls has now shifted to more open strip malls that can have one or two stores as the major anchor. Each store pays for the square footage of their brick-and-mortar footprint, and they don’t have to subsidize an enclosed mall’s non-commercial space. That means lower rents and a better way to target where stores want to be. Because AHH has kept a focus on the region that they understand, it has meant that their properties are always in high demand. A recent product it announced last month is a classic example. It’s an 18-acre mixed use site with 400 apartments, 17,000 square feet of retail space, a 150-room hotel and 100,000 square feet of office space in a very desirable area between Washington, DC and Maryland’s Eastern Shore. The stock is up 15% year to date and still kicks off a 6% dividend. LGI Homes (LGIH) builds and finances homes in major cities in Texas, Arizona, New Mexico, Florida, Georgia, North Carolina, South Carolina, Colorado and Washington. Two of its most compelling features are its “No Money Down” purchasing plan and its 10-year warranty on all materials used to build your home. LGIH’s concept is to make homebuying more attractive than renting. The two biggest barriers to home buyers today are the down payment, which few have available these days; and the fact that you have to worry about things breaking. When they break on a rental, you call the property manager and they fix it, on their dime. And given the fact that rents have been rising for a few years now, buying into a home has some real advantages. Owning an asset in a growing market is much better than spending more to rent and have nothing to show for it. There are also tax advantages. As millennials and gen Xers start to settle into their late 20s to 30s, home buying with low barriers to entry is a great idea. Smith & Wesson (SWHC) is certainly an iconic brand. This is handgun maker that invented the lever action pistol with a self-contained cartridge (a modern gun and bullet) in 1852. This was then used to build the famous rifles that won the West, the Winchester. Aside from the trivia and history, the thing that SWHC has going for it now is a democratic president. President Obama has been an outspoken supporter of tighter gun control regulations and democratic presidential hopeful Hillary Clinton is an even more enthusiastic backer of gun control. Whenever there is a threat to gun owners rights, many go out and buy guns while they still can. That’s why SWHC is up more than 50% in the past 12 months, and will have a very good 2016 and beyond. Fidelity & Guaranty Life (FGL) is an insurer. It also is a big player in the annuities market. Both of these sectors are going to be great places to be for quite a while. Insurance is a great sector because these firms sit on huge amounts cash that they then deploy into solid, liquid investments like U.S. Treasury bonds. While the yield on bonds is very low, that means the prices of bonds are rising. And given the state of the U.S. economy and the broader global economy, this trend will be in place for a while. That means FGL is making good money on its cash. Annuities are investment vehicles geared toward retirees and soon-to-retirees. They essentially guarantee a monthly income stream as long as your alive. The amount of income is based on how much you invest in the annuity. The investments are controlled by the insurance company and are a bit more flexible in their investment mix because they need to hit a specific rate of return for their clients as well as have some left over for profits. Retiring baby boomers are going to see a long-term trend toward annuity products, and low interest rates and global insecurity are going to keep U.S. Treasuries strong. Cooper Standard (CPS) is on a roll. Earlier this month its first-quarter numbers crushed analyst expectations for per-share earnings of $1.67. CPS delivered $2.54. This is one of the reasons the stock recently hit a 52-week high. CPS remains in the automotive sector, though it divested from its Cooper Tire division long ago. Now it makes fuel and brake systems, as well as other specialty parts. Given the fact that auto sales have been growing a solid, sustainable pace in recent months, that is very good for CPS. Also, low interest rates and a slow-growth economy will help sustain, if not propel growth moving forward. And if the the economy improves faster than expected, you can bet CPS will be a big winner. The stock is up 35% in the past 12 months but its recent numbers as well as analysts low-ball estimates for the rest of the year make this a good choice for growth in 2016. Louis Navellier is a renowned growth investor. He is the editor of five investing newsletters: Blue Chip Growth, Emerging Growth, Ultimate Growth, Family Trust and Platinum Growth. His most popular service, Blue Chip Growth, has a track record of beating the market 3:1 over the last 14 years. He uses a combination of quantitative and fundamental analysis to identify market-beating stocks. Mr. Navellier has made his proven formula accessible to investors via his free, online stock rating tool,PortfolioGrader.com. Louis Navellier may hold some of the aforementioned securities in one or more of his newsletters. Article printed from InvestorPlace Media, https://investorplace.com/2016/05/a-rated-small-caps/.